The Honeymoon's Over, Now what? Here Comes the real Baby! So, am I still your Baby? - Can Marriage, Money and Mother-in-law mix? 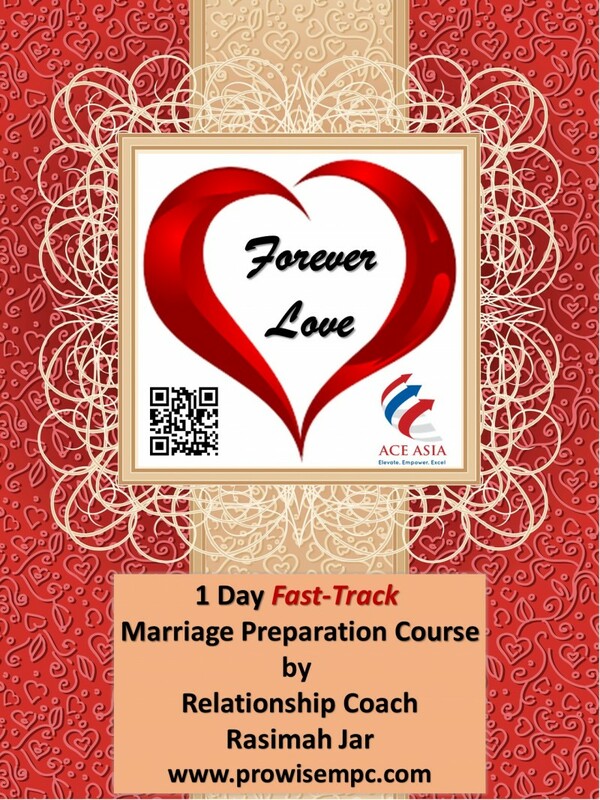 This course is conducted by Certified Relationship Coach Rasimah Jar & her associates. Coach Rasimah has degrees in Psychology, Education and Economics and is a Psychology-trained Specialist in relationship and personal enhancement. Coach Rasimah has been coaching and counselling couples and families in relationship building and enhancement via her vast working relationships with many Malay/Muslim organisations, mosques, VWOs and the government since the 1990s. She has also lent her expertise and advice to various infotainment programmes on Mediacorp TV like Rudy & Rilla & Ah! Adam & Hawa shows, weekly talk shows on radio RIA 89.7FM and wrote articles on relationship and marriage for magazines and the newspaper. Being blissfully married for 20 years, Coach Rasimah "walks the talk" about marriage and relationships. 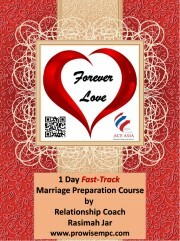 Join the course and pick Coach Rasimah's brain on how you can build a strong and stable yet loving, romantic and committed marriage. * There is NO REFUND once booking has been made. However, you may transfer your seat to another couple or request for a change of date at least 14 working days before your course date.